Munich - Jos Luhukay's Hertha Berlin side have been garnering plaudits from across the Bundesliga with their fearless, hard-working approach to every encounter, regardless of the opposition. On Matchday 10, they came up against FC Bayern München, not that Luhukay's meticulous planning was altered in any way. Despite a narrow 3-2 loss, it would be unfair to say Hertha just gave a good account of themselves, considering how assured and daring they were in almost holding last season's quadruple-winners to a draw. bundesliga.com: Jos Luhukay, what are your thoughts after your side’s 3-2 loss to FC Bayern München this afternoon? Jos Luhukay: We played really well, particularly as a promoted side. An equaliser and a draw wouldn't have flattered us. Luhukay: Yes, we managed to do that, which is a success in itself. bundesliga.com: You’ve certainly got an in-form striker in Adrian Ramos. He scored again today and looks on fire at the moment. What do you make of his form? Luhukay: He’s a fantastic player, a complete striker. It was another great headed goal he scored early on today. He’s in really ominous form and is showing how dangerous he is in front of goal. bundesliga.com: You face Schalke at home next week, who lost to Borussia Dortmund today. Can you share any thoughts ahead of that top-of-the-table clash? 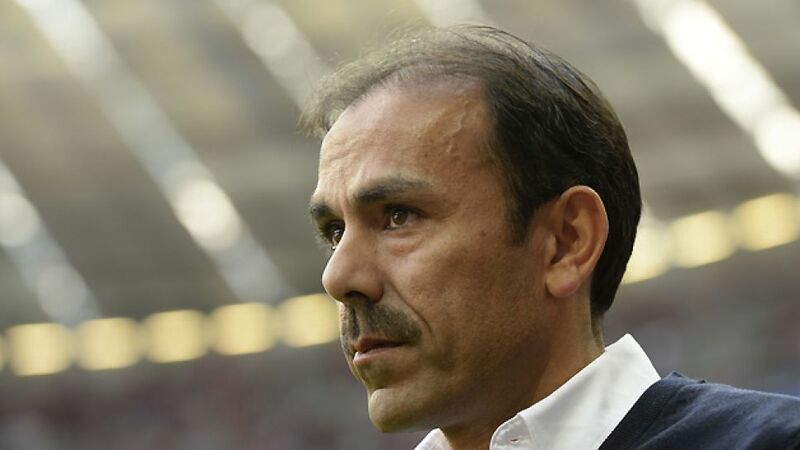 Luhukay: Yes, I saw they lost, which turns it into a big game for both sides. We’ll be trying to win against them, and even after losing today, there’s a lot we can take with us into next week. bundesliga.com: Speaking of what you can take with you, what positives will you be carrying into Matchday 11? Luhukay: Defensively we weren’t too bad, apart from the set-pieces that they scored from. Going forward, having scored two goals, we’ll be taking a lot of self-confidence into the Schalke game.